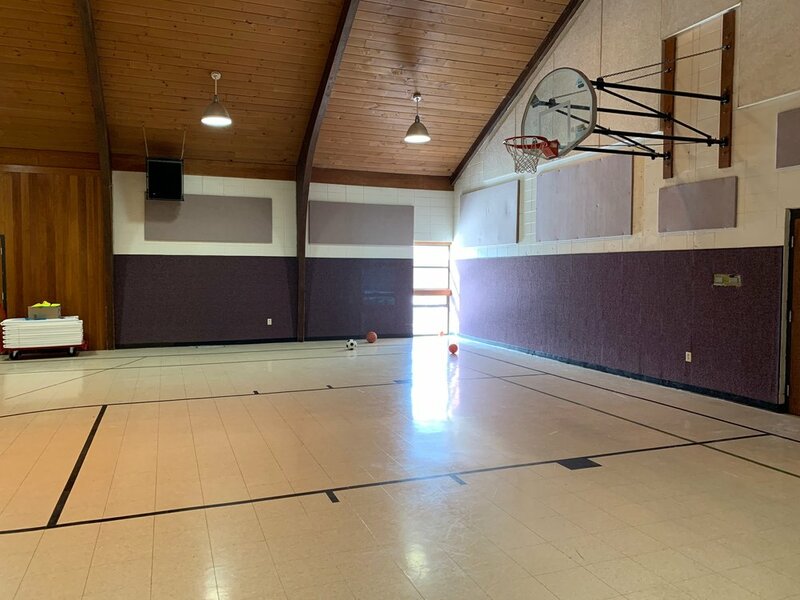 New City Church spaces are available to rent for a wide variety of activities including meetings, sporting events and more. We offer free WIFI and can accommodate groups of varying sizes. Check the facility calendar below to see if your space, date and time are available. Click the link at the bottom of the page to submit your reservation form and pay your REFUNDABLE deposit. Check your email for your reservation confirmation. Please allow 5 business days for your request to be processed. Great for: Sporting Events, Parties, & Large events. Living room like setting with comfortable couches and chairs, presentation TV, and whiteboard. Great for: meetings, classes, study groups. Meeting room with 3 rectangular tables and chairs, 1 TV Monitor with Apple TV, Whiteboard. Accommodates up to 30 people. 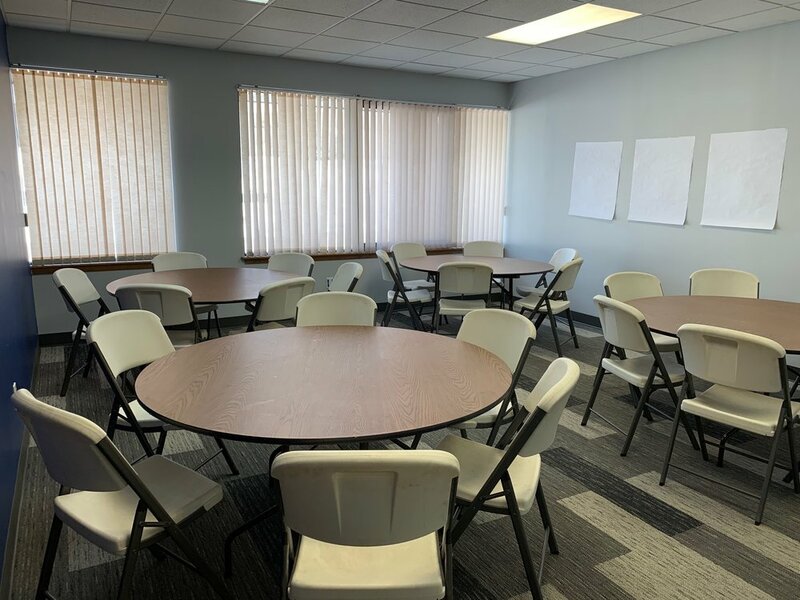 Unwalled meeting space with large table seating 10-12 people.